The sun has woken up. Current sunspots are more in line with a rising trend. A geomagnetic storm is in progress, so caution. But the extended geomagnetism forecast continues to show a flat to upwards trend ahead, which should provide support for risk assets. I have updated all the short term and medium models, on their relevant pages. 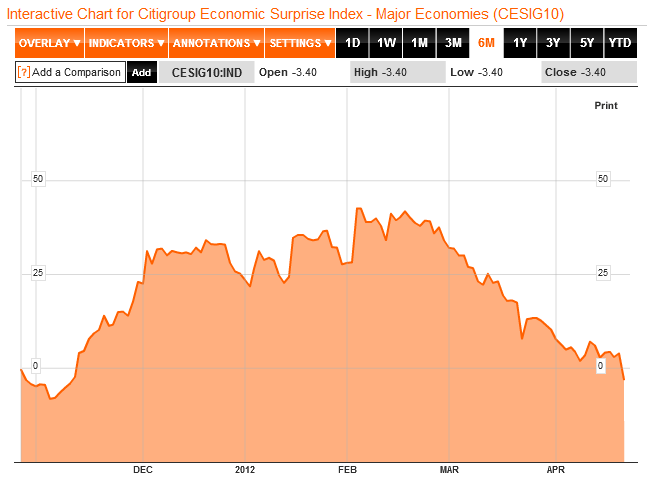 Economic Surprises for major economies finally went negative yesterday – a bearish development. European PMIs were weaker than expected, suggesting Europe is not out of recession yet. Leading indicators for Germany and China came in positive. 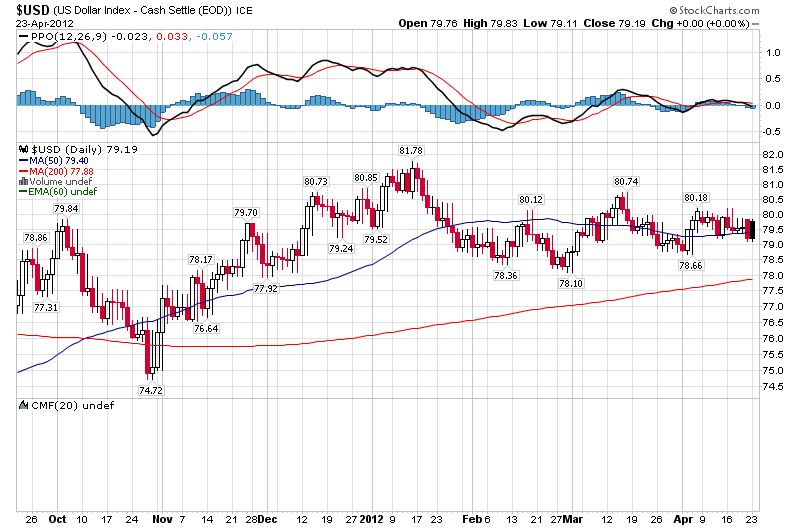 The US dollar remains undecided in the nose of its triangle, but running out of room. I maintain the expectation that the FOMC outputs may push it one way or the other. Spain, Italy and France CDSs continue to rise. Portgual CDSs have fallen away and out of the limelight. But the bigger trio have the potential to overwhelm the markets if this continues. Apple earnings today after the bell.